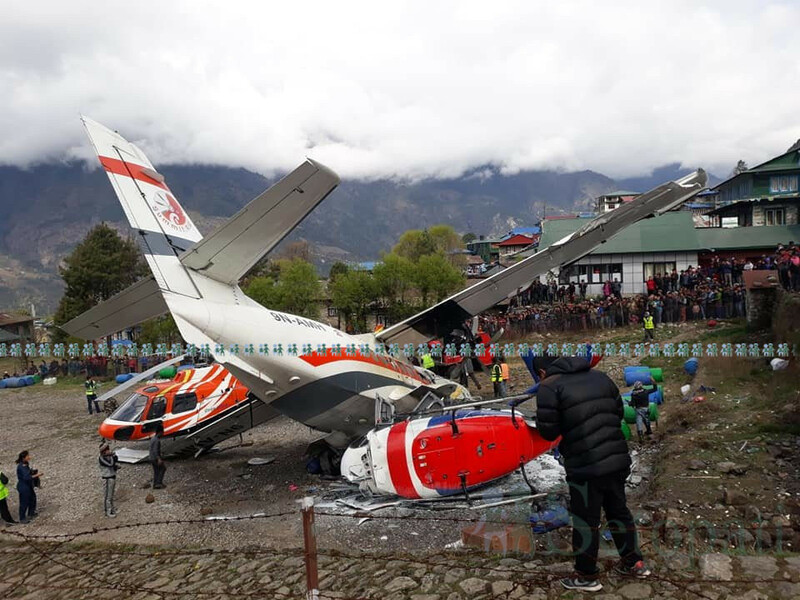 The accident happened at Lukla Airport, the main gateway to the Everest region. Reports say the plane skidded off the runway to the right and hit the helicopter that had just landed from Kathmandu - cutting it in two. A spokesperson of The Tribhuvan International Airport in Kathmandu, Pratap Babu Tiwari said that the co-pilot S Dhungana of Summit Air and Assistant Sub-Inspector Ram Bahadur Khadka on the ground at the helipad died on the spot. The Shell office has been painted with Extinction Rebellion's logo and messages reading "climate criminals" and "crime scene". The London protest is just one of 80 across the world in 33 different countries, according to organisers. Truex regained the lead for the last time after green-flag pit stops that started with just more than 80 laps to go. Inspection issues continued for Elliott, Hamlin and Tifft, as their cars failed a second time through inspection.